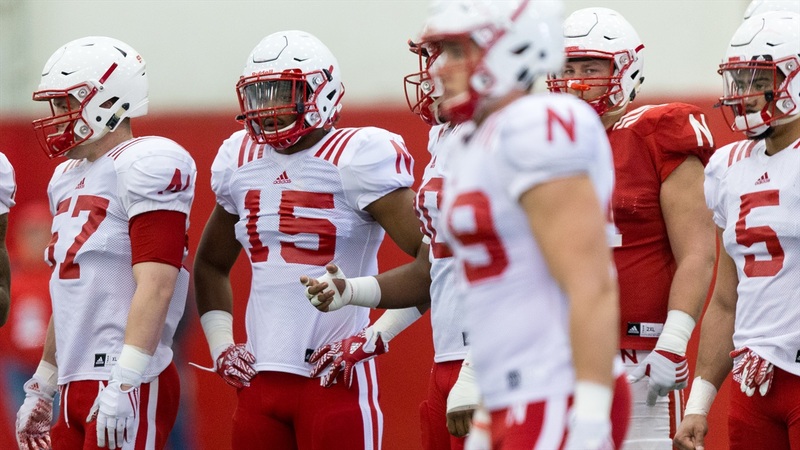 The Huskers’ defensive staff may be taking a look at an unusually large number of redshirt decisions after a switch to the 3-4 defense has reset the knowledge base for a lot of players. After Tuesday’s practice the subject of how to bring along young players was brought up to linebackers coach Trent Bray. He had some thoughts on the unique challenge that a player like freshman linebacker Avery Roberts faces even after being one of the most touted players in the 2017 recruiting class. “We've got to develop him as the season goes,” Bray said. “We all know how the season goes, who knows what game it will be, but we’ll need him at some point to have a large role. It seems as though it was understood pretty early on that Roberts would see action this season and that light may have come on during the spring for the coaching staff. A player that Nebraska fans have heard about and might be eager to see in action is Mohamed Barry. The sophomore from Georgia figures to have an increased role this season. “Mo’s gonna be a part of the game,” Bray said. “He’s going to help and he’s going to play and be a big impact for us. He’s played like that [in camp]. Bray did say that when having conversations about the decision to redshirt a player or not, there is constant communication so no one is surprised. Freshman linebacker Guy Thomas may be a player on the bubble of getting to play in the opener, but still has an opportunity to show what he can do. “We are still in the process with him,” Bray said. “He’s getting better and doing a lot of things well. When he understands and cuts it loose, you can see where he’s going to be a special player.